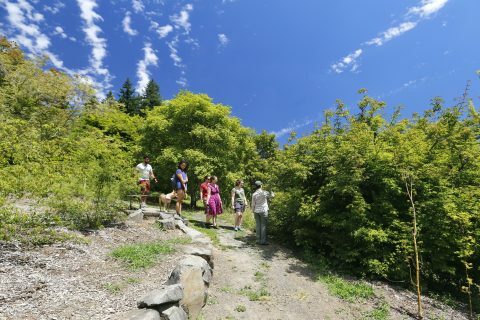 High atop Washington Park in Portland, Oregon, Hoyt Arboretum is open year-round, free of charge, to everyone. Come explore our collection of over 2,300 species from around the world. Bring your family and friends, take a class or a tour, or reserve a beautiful natural venue for your event. There are many ways to get here, plenty of things to do, and a few rules to adhere to. Get started here. We offer classes, tours, and other events to make the most of your visit. 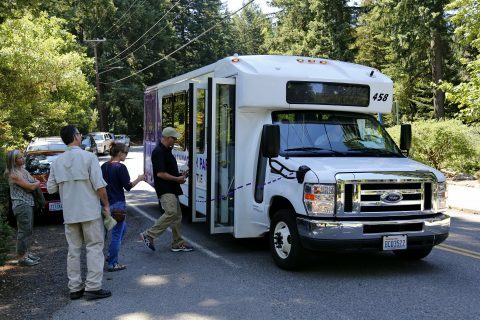 Find out what’s coming up at Hoyt Arboretum. From winter to summer, our global tree garden offers a rich aesthetic and educational experience. 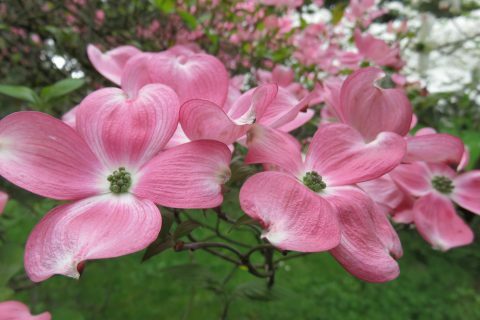 Here’s a rundown of essential sights and scents for every month of the year. 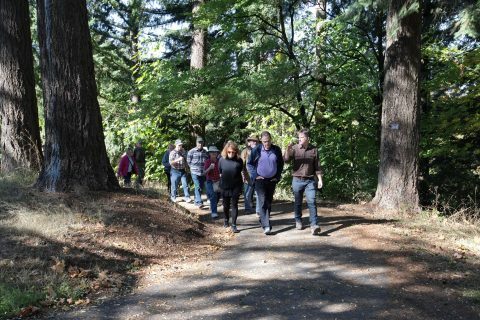 Whether you want to drop in on a tour led by knowledgeable volunteers, bring a group, or do it yourself, Hoyt Arboretum offers a variety of experiences for every kind of visitor. Educating the community is at the core of our mission, and central to that is providing families opportunities to learn and have fun outside together. 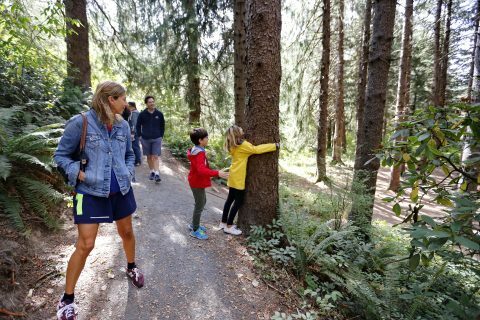 From toddler walks to family days, we offer programs for kids of all ages. 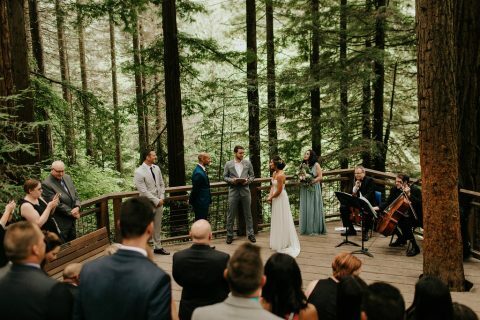 Our reservable group areas and shelters offer scenic natural venues close to the city for your wedding, family picnic, corporate, educational, or other event.